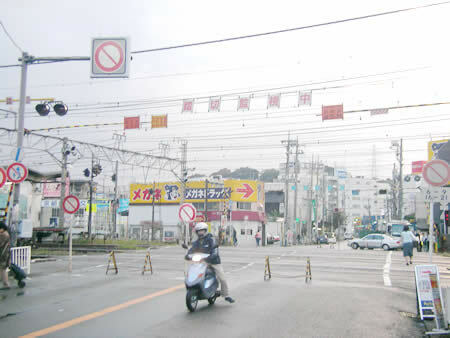 Yokohama Shindo was established in 1959, and the Hodogaya-Totsuka section of Route 1 had finished the duty as a national road. On the other hand, the government concentrated on the road of the district which yields rights, and the old road which does not yield rights was left. then, railroads divided the town and accidents in crossing increased. And now, at this section of route1, traffic is closed as long as 8 hours per day. Probably, it has still left the title of "The first national road" in order to leave Yokohama Shindo as "New Road" and to continue taking a toll at Yokohama Shindo.